While asking your guests for song requests and giving your DJ some general guidance is great, please don’t turn him or her into a human iPod by listing out every single jam under the sun you’d like played. An experienced DJ will already have the know how to read the crowd and play the type of music they’re enjoying. Couples are often worried that their dance floor will be too small, but it’s equally important to make sure that the dance floor isn’t too big otherwise it’ll look empty no matter how many people you have out there cutting a rug. We have seen our fair share of dance parties and getting people onto the floor is half the battle. Once your friends and family are already out there though, they’ll likely stay for a few songs. 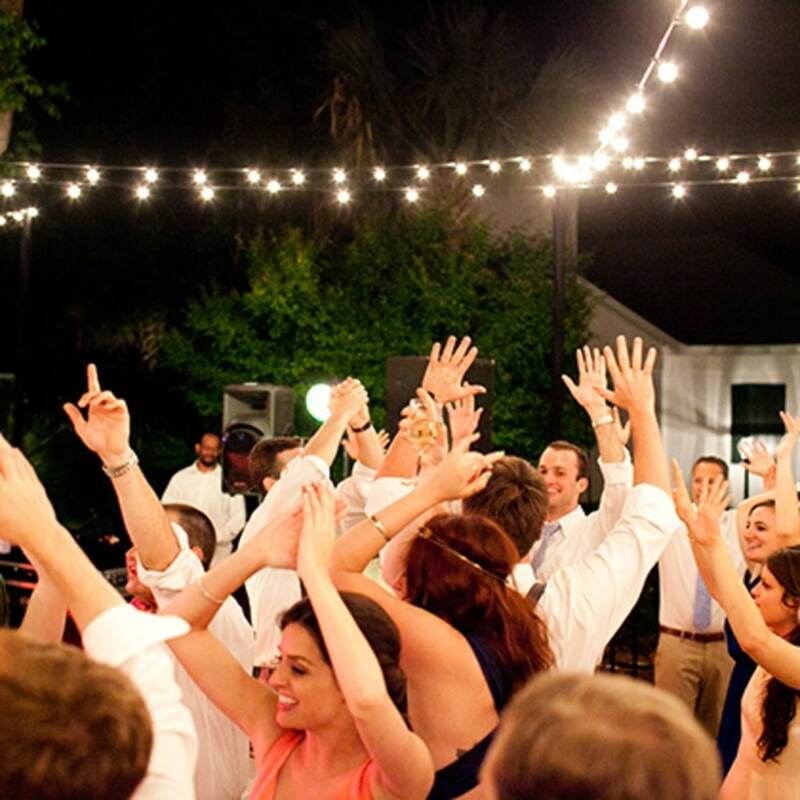 A smart move is to have your DJ invite other couples to join you before the end of your ‘first dance’ then transition into an upbeat song immediately afterward to keep guests grooving. Everybody likes a tipple or six at a wedding reception and once a few cocktails have been demolished we all like to break out our best moves on the dance floor. So, make sure the bar is close by or in the same room as the dance floor. If it’s not, you’re going to lose dancers and that all important ‘party energy’ you DJ is striving to maintain. Do you want to clear the dance floor in the middle of a great party to cut you cake and run the risk that it may not fill up again? Consider cutting your cake in between dinner courses before the dancing officially kicks off. There’s no need to let a little sore feet kill the vibe so why not provide comfortable ‘dancing shoes’ for your female guests. Flats, flip-flops or even colorful socks are a great way to keep those disco feet moving and are safer than bare feet. Last but certainly not least, make sure you’re out there and at the center of it all. It’s your day and no one can resist a smiling bride and groom on the dance floor.